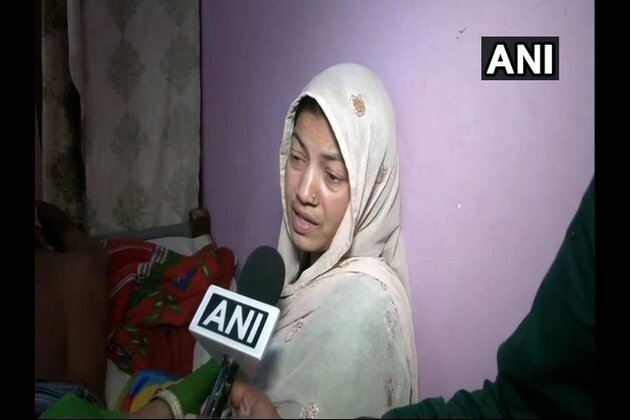 Gurugram (Haryana) Mar 23 (ANI): Samaira, one of the victims of Gurugram incident in which a family was beaten up mercilessly, has said the attackers armed with sticks and rods told them not to play cricket on Holi. "They broke windows and doors, and thrashed our family brutally," she told ANI while describing the grievous incident in Bhondsi on Friday. "We were making food for some guests when suddenly the attackers entered our home. They thrashed me with sticks and hurled abuses when I tried to stop them," said Samaira. A video of the incident has gone viral on social media now. Dilshad, another victim, said: "We love India. It is grievous when someone says to Muslims that they should go back to Pakistan. Hindus and Muslims are brothers. Whether Hindu or Muslim, we are Indians. "Police is investigating in the matter but no arrest has been made so far. "We tried to close the gate, but she thrashed my aunt. They also thrashed my brothers and uncles. I was crying and pleading but no one came to our rescue," said Danishtha who filmed the incident.